Entry via Koha (donations taken at the door). With support from Central Lakes District Council and Creative Queenstown. Shimmering light and captivating movement fill the universe of Search Engine. Within this luminous, metallic world, three choreographers explore and define their experiences of what it means to seek out and to search within our technologically driven society. 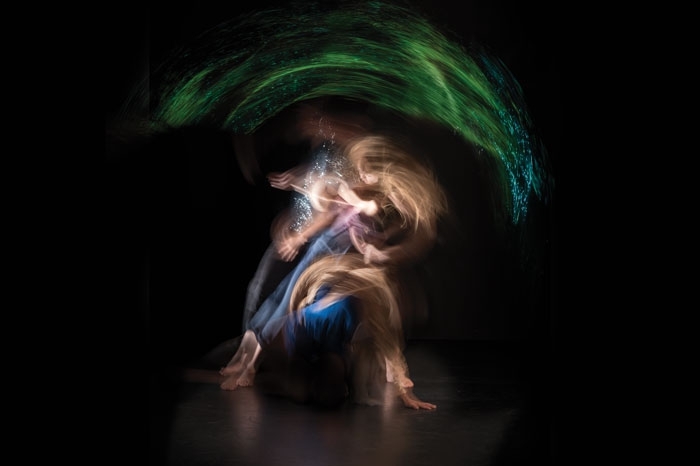 This brand new show is a different kind of dance experience, where the audience is absorbed by fragmented light displays and close enough to the stage to feel the incredible energy of the five performers. These three short works by Lauren Langlois, Rose Philpott and Tupua Tigafua are guaranteed to intrigue, delight and surprise you. Footnote New Zealand Dance is a national treasure: since 1985 the company has been inspiring and exciting audiences in every corner of our country and overseas.